My Block Rockit arrived today!!!!! I already threw a quilt on the frame and zipped on through it!! It was very easy to operate and is everything I hoped for!! Thank you Lynn and Kathy!!! 14 1/2 glorious inches of throat space. Easy, front loading, super big bobbin. Bright LED light on the workspace. Needle up/down button. I recieved my BRT (Block RockiT 14+) last week and have been practicing. This machine is absolutely wonderful! I have tried different threads and the machine sews beautifully. I am sooo happy that I pre-ordered this beauty! Where do I start? 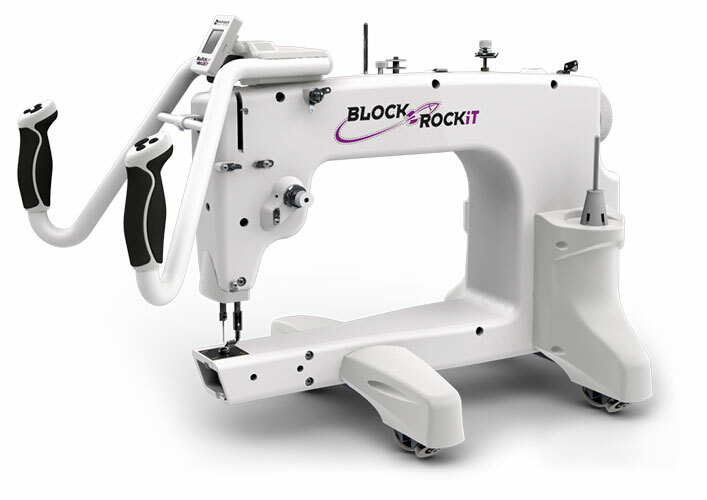 Great price so it is affordable, easy buttons on the handles, stitch regulator is awesome with baste, precise and cruise features, great separate bobbin winder with the huge M bobbin, bright lighting, easy setup, and it could actually be listed as a 15", and a large harp. I am sure I am forgetting something that I love about her! 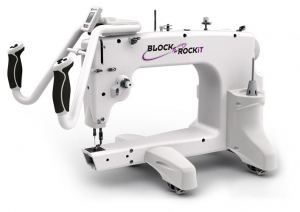 When we were at MQS in Wichita Kansas, and AQS in Lancaster Pennsylvania, the comment we heard the most was that the Block RockiT was really easy to quilt with. It was easy to move around and had a great stitch. The price was a huge factor as well. Shipping was an issue but now things are rolling! Well... May have some"kinks". We shall see!!! The reviews seem to be written by folks who do not yet have this machine and therefore haven't used it --- are there any reviews from actual users?